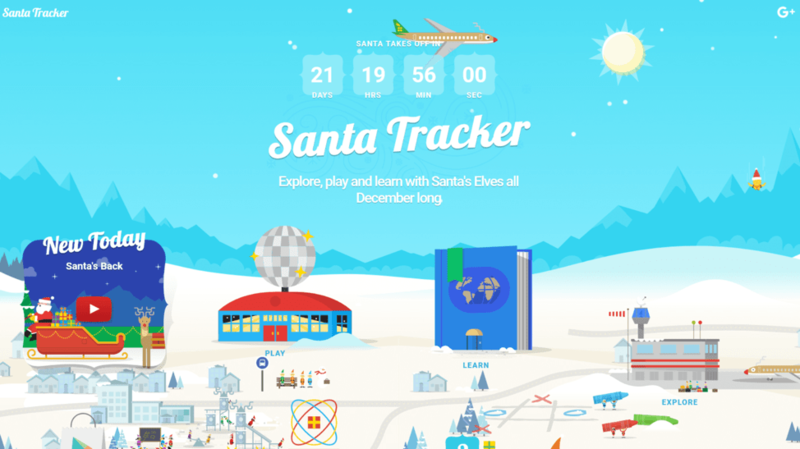 You might think it’s too early to start planning your winter (BFCM) holiday campaigns just yet. However, the large retail industry leaders are already busting out their Christmas collections, and customers are getting used to having several months to plan and do their holiday shopping. The time might just be right to start contemplating your own content marketing campaigns for the festive season. The cost to advertise over November and December increased by 2-3x so be prepared and avoid some of these common holiday marketing mistakes. Customers are likely to spend a staggering 80+ billion dollars in the US alone come the holidays, and most online stores see a spike in traffic as soon as the weather turns chilly (United States). And while there are certain industries that are certainly better suited to holiday campaigns (take the example of John Lewis), that’s not saying you can’t do something special this season and spread some holiday cheer. However, while getting into the festive mood can do you no actual harm, there are certain things you should avoid – so as not to find yourself standing alone under a mistletoe with no customers in sight. 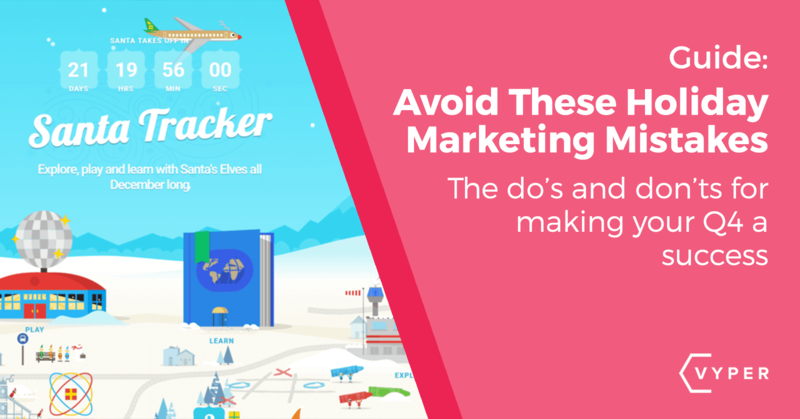 Here’s our list of Christmas holiday marketing mistakes – dos and don’ts! Despite the above-listed enormous earning potential, and even though many a shopper will naturally associate the word “Christmas” with the word “discount”, the holiday season is not a time for hardball pitches and forced sales. It is the season of giving, after all, so your focus should shift to providing useful and shareable freebies, rather than coming up with the best way to outmaneuver your competition in terms of discount percentages. Freebies are a great lead generation tool even in the dead of summer, and they can go a lot further in terms of brand awareness and customer satisfaction during the end of the year frenzy. Come up with a lead or link generating a piece of content (either a video, an e-book, perhaps a case study or even an infographic) that you will specifically promote during the run-up to Christmas. It does not necessarily have to be Christmas themed itself (after all, evergreen content tends to provide a higher ROI than seasonal content), but packaging it up as a seasonal gift can go a long way in terms of promoting it. Even if you are not a huge fan of the holidays, or if you are not planning to publish any Christmas-themed content, don’t be the one who refuses to engage in the festivities. No one likes a Grinch, and dampening others’ spirits is not the best way to win people over. The holiday season is an incredible time to take advantage of user-generated content, which will all likely be seasonally themed. Start up a bit of a competition on your social media requesting the best pictures of gingerbread cookies or Christmas decorations (or anything else that is both festive and in line with your brand and product) and share and promote the best ones. Reward a particularly inventive creation with yet another freebie (in the form of a discount or actual product) without announcing you will do so. Your followers will appreciate the thoughtfulness. Bear in mind that these types of promotions can get hectic and very competitive. Be prepared to set out clear rules and even face some backlash even if you have not done anything “wrong”. Some companies do Christmas exceptionally well. And even if your particular industry does not lend itself to over the top holiday campaigns, and you are sorely tempted to take a leaf out of someone else’s book and recreate their ten-year-old campaign: don’t. Customers tend to remember beloved holiday campaigns, and you shouldn’t be surprised when they call you out for being a copycat. You can’t reinvent Santa or the reindeer anyway. All you need to do is find a unique angle that represents your brand’s identity and sprinkle some glitter over it. Focus on the main elements of the Christmas season: spreading joy, giving, selflessness. Or even on some other running themes, like snow, nutmeg, gingerbread or even Christmas lights. You don’t have to invent a brand new content marketing campaign that will only run for a month or two. Try to figure out how you can add these elements into the campaigns you are already running to give them a unique twist. While the holidays are undoubtedly a season of joy, they are also a season of mounting frustration. Don’t expect your customers to behave as they do on any other day of the week. First of all, take into account the heightened stress levels, the shortened timespans they have to get things done, the fact that they are literally swimming in advertising every single day, and you will understand why they might be a little less patient and forgiving than usual. Do all that you can to provide a port in the storm: make your content lightweight and lighthearted, focus on the positive, and don’t lose your own temper. The content you provide at this time of year can more specifically focus on the pain point solving variety. You’ll notice the subtle difference it makes in your engagement rates. Also, make sure that your customer service and communication teams are ready to go: no matter how you are promoting your content, you will be chatting to all sorts of seasonally stressed individuals. And if your campaigns run well, you can expect a surge in inquiries and purchases. Don’t forget to be prepared for them in every department. Adding holiday buzzwords to your blog titles and email subject lines is not going to cut it. If you are not going to put a red cap on and get into the festive mood, don’t falsely represent your content as being holiday themed. If you are going to mention the holidays in your titles, do make sure the actual content is to some extent similarly themed as well. 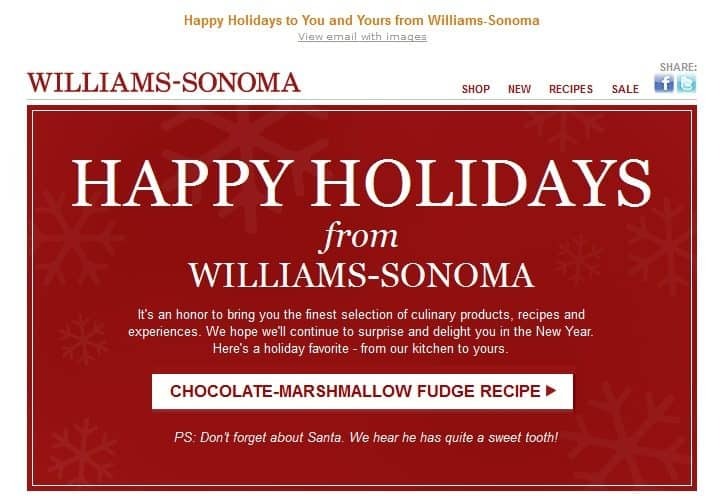 A lot of campaigns package ordinary subjects (like the five best ways to drive more leads through guest posting) into something with a Christmas flare (like the five lessons we can learn from Santa Clause to improve our outreach campaigns). You can easily borrow motifs and themes from holiday books, movies or even carols, and apply them to your regular content producing subjects. If it feels too forced, or if you are simply not the kind of company that would produce such content, don’t try to emulate a false holiday cheer. You will come off as phoney, and that will not fly well with your readers. Failing to send out Christmas cards would be a huge mistake. All your leads and customers would surely appreciate a nice card celebrating the season. Don’t turn it into a discount code or sales pitch either, which is what most companies tend to do. By all means, offer a discount code or do a seasonal sale, but don’t put it in the Christmas card. Just stick to the good wishes, and return to marketing when the holidays are over. That way, you will be perceived as less of a corporation and more of a human entity. 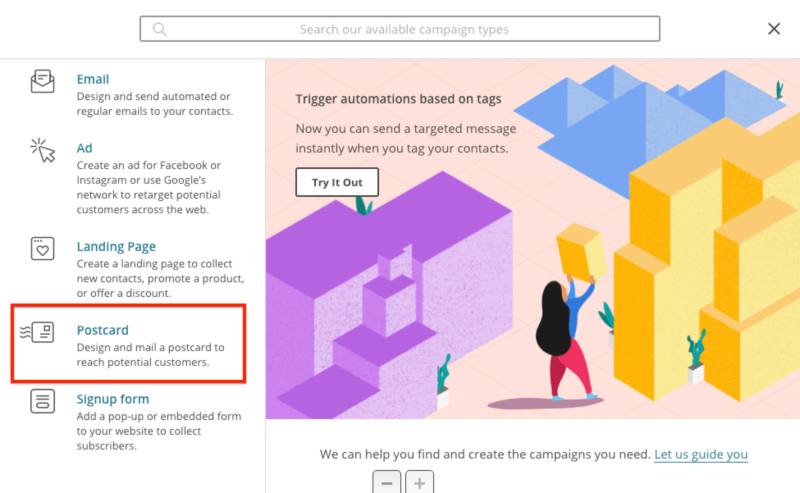 Mailchimp recently opened up the feature to start sending direct physical mail via a postcard, CRAZY I know! Whichever route you choose: going all in and producing a holiday advent content calendar, with a new piece of Christmas-related content for every single day of the month, or laying low and nodding on while the festive season is over, you need to prepare on time. If you are going to do something seasonal, make sure you start early. While late summer might not seem the right time to get into a holiday mood, the end of October would be just the right time to start brainstorming ideas and toying with different concepts. If you wait until December, everyone else’s campaigns will already have started, and you will be forced to play catchup. Set out a time when you will start working on the holiday content in advance, and see how your ideas evolve over time. That way, you will both be able to track what your competition is doing (or not doing) and come up with your own take on this Christmas season. Even if you are not the biggest fan of the holidays, joining in on all the festive fun is the surest way to reach new leads and customers, and engage with the following you already have. 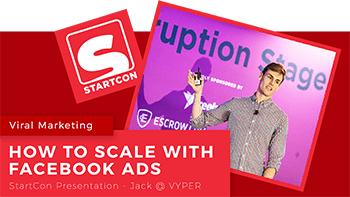 Be a little bit less serious, and try to forget about conversion statistics and all those other metrics you keep focusing on throughout the year. If the main goal of your Christmas campaign is to sell, and that remains your only focus, you will be losing out on a lot. There’s a reason why storytelling is huge in marketing: consumers like to connect with a brand before they purchase from it, and Christmas time is the perfect time to establish and strengthen this relationship. Feature post author: Anita Sambol is a content strategist and graphic designer at Point Visible digital marketing agency. She has years of experience in designing graphics for web and running social media and content marketing campaigns. She loves cooking and football.